My letter to you this week has to do with improving the overall performance of your team. First of all, how do you know how well you are really doing? Measuring your team against a strict set of metrics is good in one sense, but it can often hide many issues, inadequacies, and areas of potential improvement. Does your dashboard indicate when it’s time to improve your campaigns, your employee rewards, compensation plans, hiring and on-boarding … just to name a few… of course not. Yet many leaders rely year in and year out on their own internal data, metrics and reports to steer their team into the future… and hopefully to a higher performing organization. I once did my own benchmarking visit to a large Silicon Valley based SaaS provider. This company had seen significant growth over the past 10 years or so and was known as the CLEAR leader in their field. Nearing the end of a very productive day-long visit I had the chance to meet with 6 directors who, combined with their first line managers, oversaw an organization about 350 inside sales reps. I asked the Directors several questions as I learned about their business and execution. One of the last questions I asked them was “how many of you have ever been outside these four walls to visit another company to see how they run their inside sales teams?” To my amazement, nobody raised their hand. With all due respect, I suggested that they didn’t know what they didn’t know. By living inside their fast paced and growing company, they were not able to see what else was out there in terms of organization excellence and fresh ideas. 1) It allows them to confirm that some of the things they are doing are also being done by others. In other words, it can validate that they are on track with key processes and initiatives. 2) It allows them compare a wide range of organizational components such as comp plans, meeting structures, recognition programs and spiffs, hiring routines, training and so on. 3) It exposes them to some fresh new ideas, some of which may be considerably different than how they are currently doing things. 4) If offers the leader a chance to get outside their own 4 walls to see things in a new light. This helps to get a person’s creative juices flowing in terms of trying new and creative ideas. 5) It allows for a time of personal refreshment and renewal. In some cases, the leader walks away with a sense of pride thinking that “I am really doing some great things compared to others”. In other cases, it allows the leader to share his or her ideas with the company they are benchmarking. Here are few tips for a successful benchmark visit. 1) Don’t stress about the industry and the size of the organization matching to yours exactly. Some of the best ideas come from teams in a completely different industry or size. 2) Allow for at least a full day of observation. 4) Take good notes being sure to capture some ideas you may want to consider after your visit is over. 5) Be willing to try something new that you learned, even if it seems to be a stretch to how you have always done things. 6) Be sure to prepare a short brief on your visit including highlights of what you learned and what you want to implement as a result to your boss. 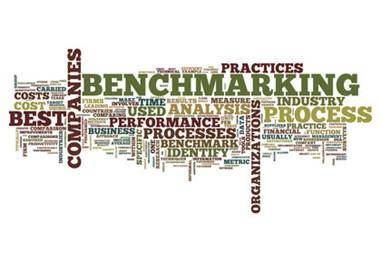 Now it’s up to you to plan your first or next benchmarking visit. I’d like to hear the results and what you learned, so please send me a note. Let’s make 2014 the year of not only training & development, but learning new ideas as well!